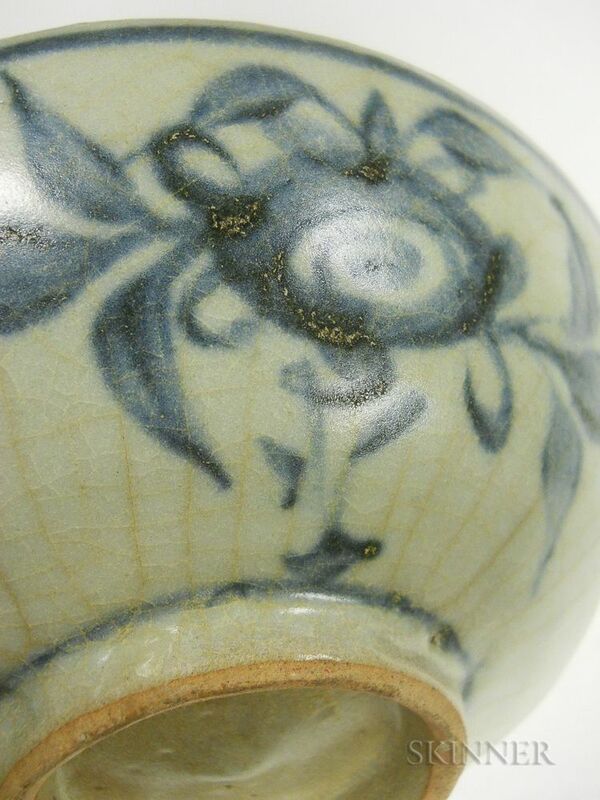 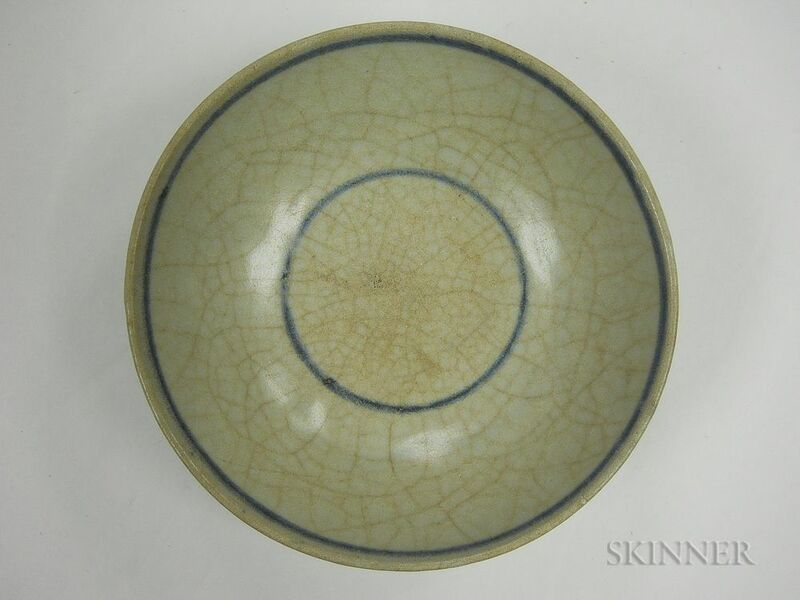 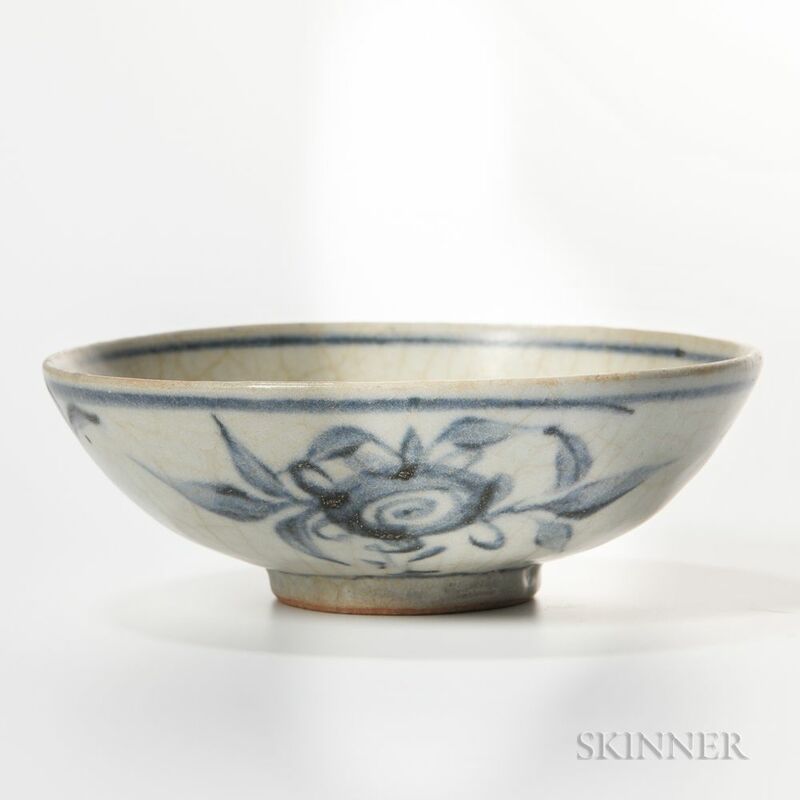 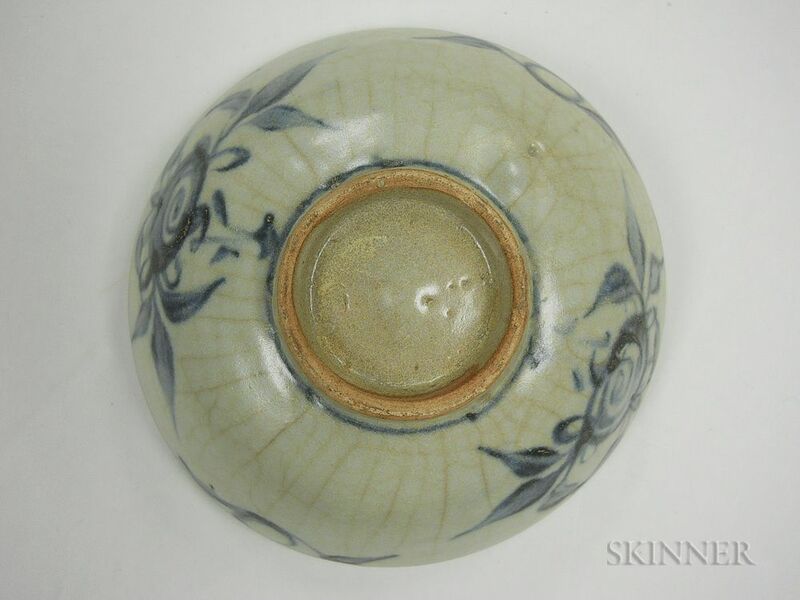 Small Blue and White Dish, China, possibly late Ming dynasty, low bowl shape, decorated with floral design to the exterior, rings to the interior, allover craquelure, dia. 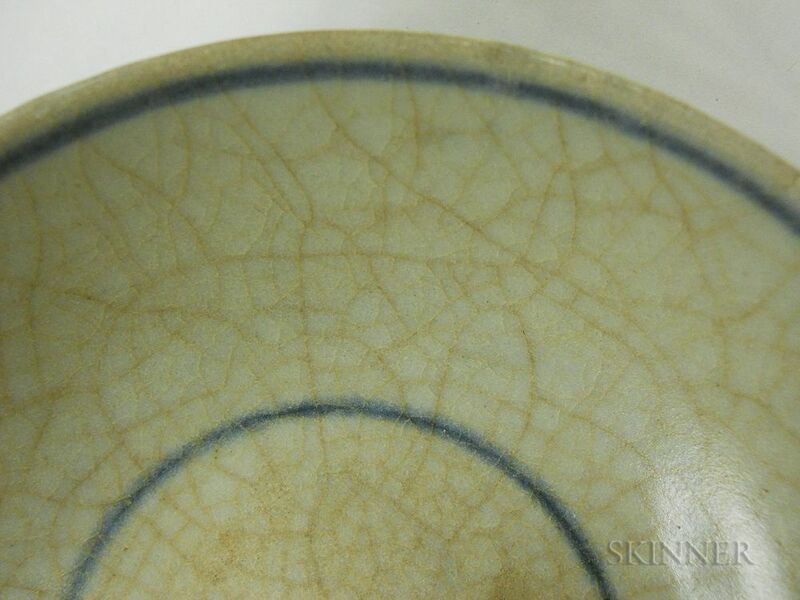 5 in. 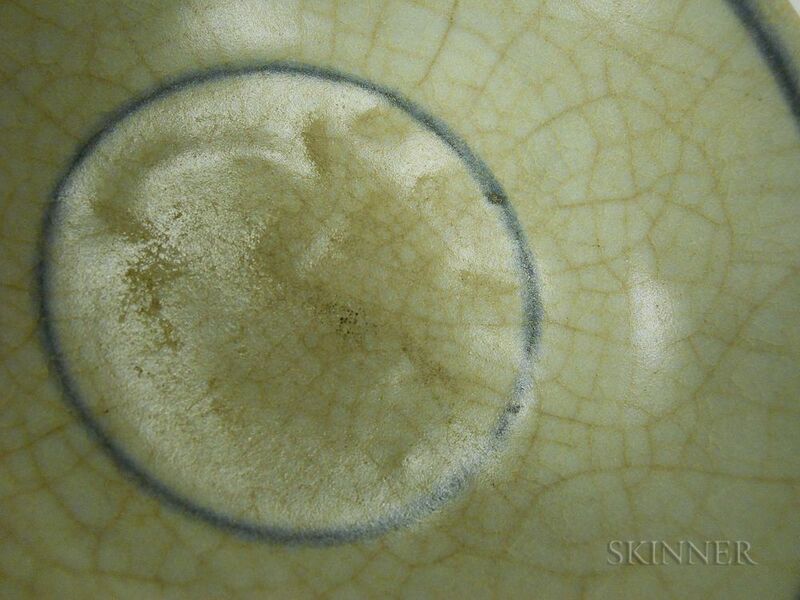 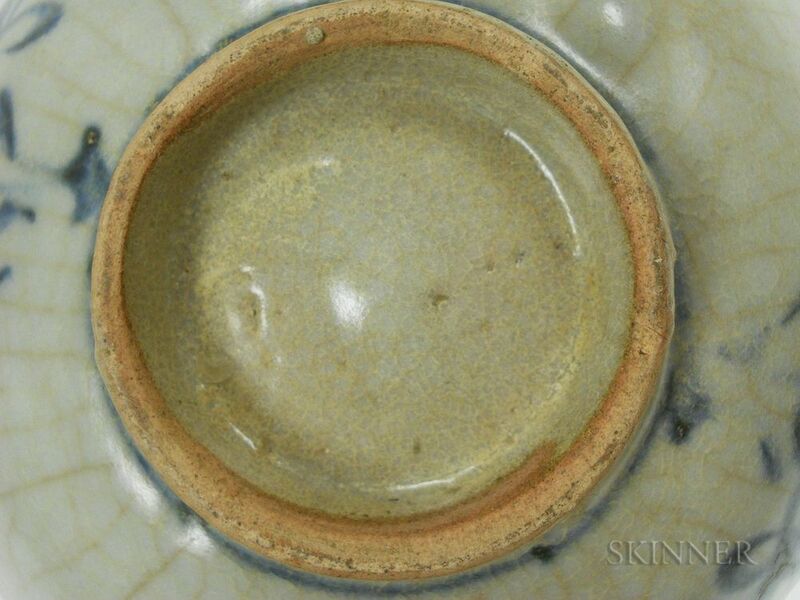 uneven potting and glazing, surface wear with scratches to the interior well, tiny old chips to rim.